"In the context of true honesty and integrity and a deep caring for life,­ its beauty, wonder and possibility, ­ GTC is a place where I am ever more learning to become fully human. The crucible of GTC challenges me to take all that I am working with out into the world....it is about embodying presence, collectively and as individuals." 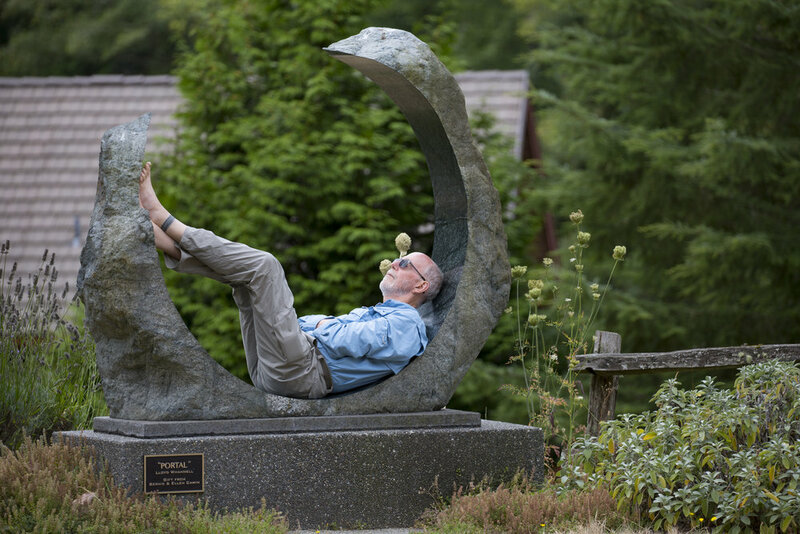 GTC retreats will take place at the Whidbey Institute, a retreat center on Whidbey Island, a short ferry ride from Mulkiteo, WA, an hour from Seattle/Tacoma International Airport. The Whidbey Institute is "a home for ongoing inquiry, learning, and transformation in response to the unprecedented challenges of our time—environmental, technological, social, moral, spiritual—and the call for a human response commensurate with our responsibility." It based on over a 100 acres of beautiful forested wildlife refuge and has a storied and deep history of transformative work. Geoff Fitch MA is a founding partner of Pacific Integral. Geoff is a coach, trainer, and facilitator of transformative growth in individuals and organizations. He has been studying and practicing diverse approaches to cultivating higher human potentials for twenty years, He also has twenty years experience in leadership in business. Abigail Lynam PhD has twenty years of experience in transformative learning and leadership development in higher education. Her doctorate is in adult development applied to teaching and learning for social and ecological change leadership development. She cares deeply about innovative ways of addressing social and ecological challenges to support the reciprocal flourishing of all of life. Abigail is core faculty for Fielding University’s School of Leadership Studies. Abigail joined the Pacific Integral faculty in 2013. Terri O'Fallon PhD has completed her PhD in Integral Studies with a concentration in "Learning and Change in Human Systems"; she is a certified scorer of the Leadership MAP, developed by Susanne Cook-Greuter as well as a certified Spiritual Director. In combination with Terri's years of experience with human systems of all kinds, these capacities give her the knowledge and skill to design and support the core developmental trajectory and span of human systems, including individuals, and organizations of all kinds. Holly at programs@pacificintegral.com to apply for one of the young leader seats. * Tuition does not include airfare or other travel costs, accommodations or meals for each of the four program retreats. Room and meals costs vary based on housing selection, and generally range between $445 - $745 per session. * All early seats are taken at this time. Start your application now and you’ll are next in line if one of these seats is freed up. Consider having your organization sponsor your participation. GTC is accepted by many organizations as an external training program. We can work with your organization to fulfill any review and approval requirements. Start by downloading the business-friendly executive summary. What do people get out of GTC?